This is an amendment to the first blog post about classrooms. Julie Parno from CRREL has been aboard the PIPERS cruise, participating in sea ice research, including LIDAR scans of the ice surface (Check out Julie’s previous post here!). Before the cruise, she visited the second grade class of Regina Markus at Gordon Creek Elementary in Ballston Spa, NY. 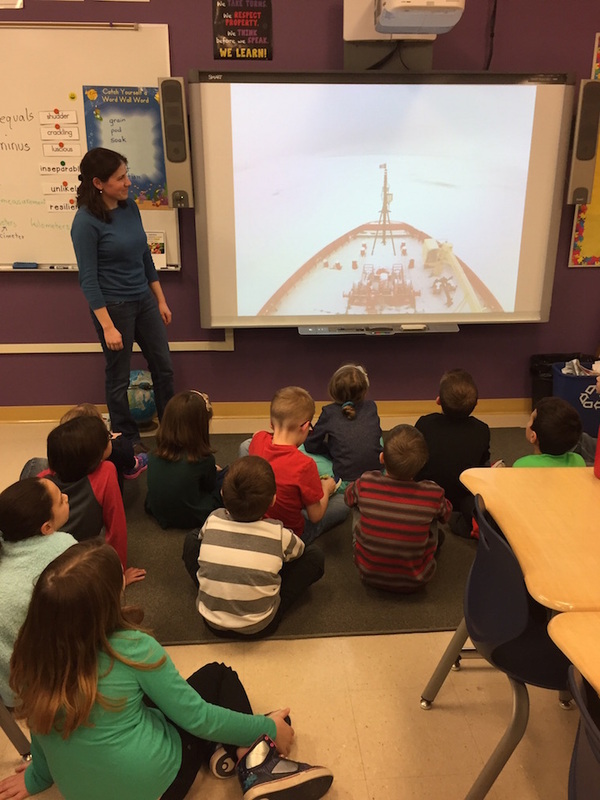 Julie treated the second graders to a slideshow and Q&A session on Antarctica and polar science. Since then she has written the class a letter, which Ms. Markus read out loud to the class. They got a kick out of imagining the ice thickness as extending from the ends of your toes to the bottom of your armpit (definitely thicker than it gets inside most iceboxes). Julie Parno, visiting with students at Ms. Markus’ 3rd grade class. Guy Williams has been keeping in touch with a 3rd grad class at Lenah Valley Primary School, Hobart, Tasmania, Australia. The teacher, Mrs Frances Williams had the students work through a lesson on graphing sea ice thickness (see photo) and they have produced some gorgeous graphs, which really illustrate how variable the ice is. The class has been following the progress of PIPERS through the Situation Reports or “SITREPS” that the Marine Projects Coordinator posts every day to the web. 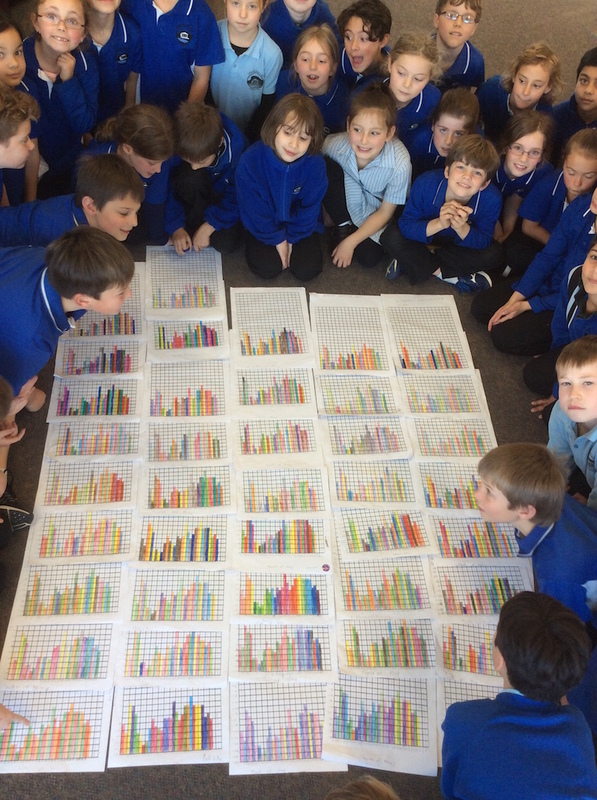 3rd grade students in Mrs. Williams class in Hobart, Tasmania. Guy has also been in contact with kids from Grade 4/5 at Clarendon Vale Primary School, Hobart. The teacher, Ms. Ellen Bregnanti gathered questions that Guy has responded to over the course of the cruise. A big shout out to all three classrooms, thanks for keeping track of us these last two months!